This year the Students’ Union introduced the four liberation groups. Decided in a referendum last year, the SU decided to abolish the regular ‘officers’ structure that most universities have (BME officer, women's officer, etc.) and were replaced with liberation groups - a place where the main four minority groups can come together to discuss issues they face at UCA as well as organise campaigns and events together. The meetings or gatherings hosted by the liberation groups are for the people who identify themselves as part of that group - women, BAME, disabled and LGBTQ+ people; however most events organised by the liberation groups are open to all. Through this the BAME Liberation Group was born, with its difficulties, of course. The previously-named Black Students' liberation group was the second of four groups introduced on the Farnham Freshers page and what was expected to be an easygoing moment turned into an intense and heated discussion with many students accusing the Students’ Union of causing division and some people claiming that liberation groups were unnecessary; one person pointed out that no one caused a fuss when the women’s liberation group was introduced the day before but the word ‘black’ had many screaming ‘division’ – the second issue. Many people didn’t understand why the Students’ Union used that term to name a liberation group for every student of colour and this made a few non-black students of colour question whether their presence was allowed within the Black Students’ circle. However, it wasn't the SU’s fault at all. The Students’ Union used the National Union of Students’ (they do more than supply you with discount cards) terminology for BME students – 'Black'; it was evident that not many students at UCA knew that NUS’ definition of black stood for political blackness. If you don’t know what political blackness is - I did not know it was a thing until a few months ago - the term was, and still is, used to unite all those who are affected by racism, especially during the 1970’s. This term has caused a lot of controversy, the most common being when Kent University's Students’ Union used Sadiq Khan and Zayn Malik on posters for Black History Month, believing Black History Month was to celebrate everything politically black, not ethnically black. Students from the NUS Black Students Campaign have called for a name change, however, that is a story for another day. The first thing we did during our first meeting was to change the name and decided to go for BAME. The next thing we did was plan UCA’s first Black History Month. A month prior, I posted on the freshers page about how it would be a good idea, not sure if this was something that was already been organised by the African and Caribbean society, but I felt to put it out there just in case. At that time of the post, having been a UCA student for two years, I was still shocked that a university had not had any events to celebrate Black History Month at all. I’ve watched the university celebrate LGBT History month in February, International Women’s Day and other highly celebrated events but never anything to do with people of colour and, honestly, felt like the BAME students were just seen as the ‘other’. UCA was becoming more and more diverse as the years rolled by and I knew that hosting events to celebrate the month would allow those who know nothing to learn something. 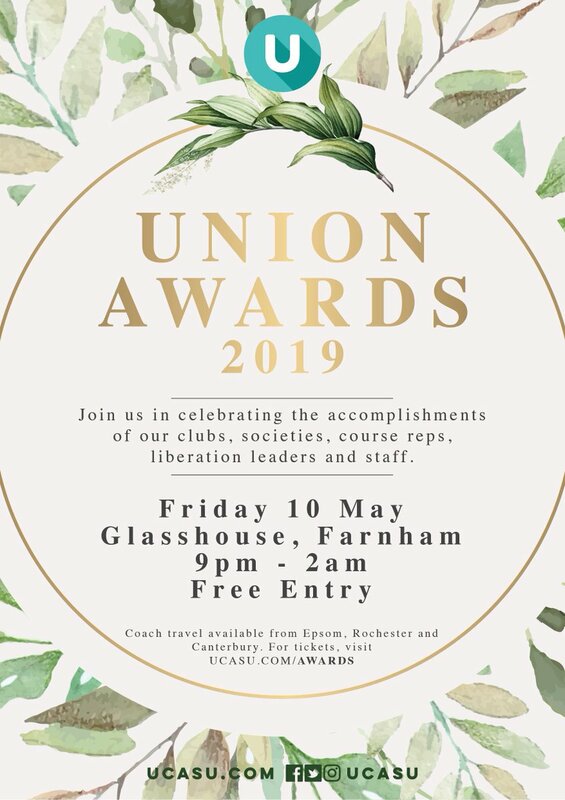 It was through the liberation group and with the help of all the fellow BAME students who helped me, Becky (Farnham Campus President) and Tasmin (Rochester Campus President) who helped launch the BAME liberation group. Going to the NUS Black Students Conference made me feel more deflated after speaking to other BME officers about what they have done for their Union. I literally looked at our achievements and thought ‘lol this is nothing compared to these unis’. However, after finding a BME officer from a drama school and talking about difficulties of being BME officers at small institutions, it reminded me that I, in fact, go to a small institution. It’s not as big as Leeds, which started the successful ‘Why Is My Curriculum So White?’ campaign, for example, but it is a university that cares enough about the minority students that they found money to found all four across all four campuses. We have the space to come together and discuss the issues we, as students of colour face and we have full support from the union to hold campaigns to make sure our voices get heard. I honestly left that conference inspired to make sure next year we, as BAME students, make more of an impact on campus. Let’s be realistic: students of colour have it harder than white students. People of colour have it harder than white people in general. The lack of representation of BAME artists used in teaching materials are evident which unnoticeably fuels ignorance amongst white students and makes BAME students feel less connected to their work. For example, my film production year group is surprisingly the least diverse out of all I’ve come across since year 0. Out of more than 100 students (I think 103), 11 or so are non-white, 5 of which are Black – one out of that 5 is a woman (me). It is obvious the materials given in lectures are catered to the majority, which there is nothing wrong with but it’s concerning when out of all the weekly lectures in the past two years I’ve been to for theory, for example, only four screened films were made outside of Europe or featured Black people. Sometimes when having discussions with other course members, someone has to mention how they believe Nollywood films are badly created, not knowing that African cinema is thriving and grossing more money than ever. It’s as though our talents are pushed to the side unless when it comes to one on one tutorials. And, realistically, would a white student voluntarily research African cinema unless they are given the motive to? Some would but many won’t unless suggested. It’s like me researching Russian cinema, I won’t do it unless something or something motivates me actively do this. See my point? It is things like this I can discuss with fellow students who go through similar things I do at UCA. Don’t take it to heart because a minority has a space where only they can come together and bond through their struggles, achievements, worries and hopes. The space is needed to have these unfiltered discussions. No one is causing division. If anything, introducing the liberation groups made those who identify as one of the four minorities become more passionate about their ‘label’ and has helped to make UCA more inclusive. Through these closed gatherings, we are able to organise events that we aspire to open our doors to those who aren’t a part of that group so they can learn more about that group. This year, we have made history, as well as BHM, the LGBTQ+ group will be representing UCA at London Pride’s parade this July. This year was the first year of the new changes and usually, when you start something, especially something pretty big, you’re always going to have a rocky start up. This year was proof of it but hopefully next year will be better across all four liberation groups. That being said, make sure you keep an eye out in September and join a liberation group if you identify with any of them. Disclaimer: The views expressed by liberation bloggers are not necessarily the views of UCASU.